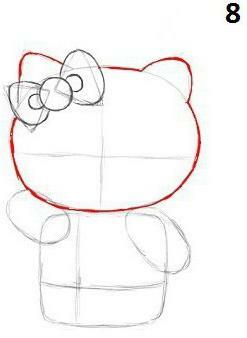 How to draw kitty pencil - a fun and cheerful girl kitten with a heart of gold from the cartoon Hello Kitty? It's very simple! 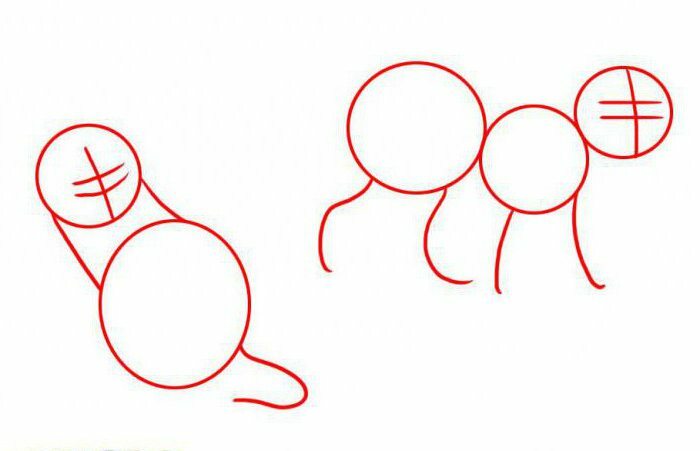 This will help you step-by-step illustrated instructions. 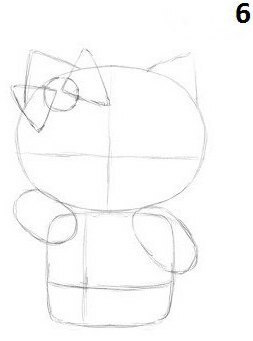 How to draw a kitty? Start with drawing sketch pencil. In the initial stages do not press too hard. Use light, smooth strokes for sketching. Draw extended on the sides of the oval in the upper half of the sheet. 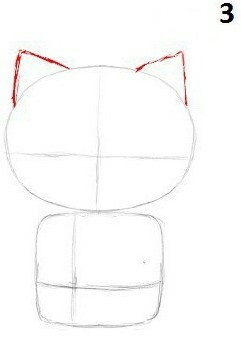 This will be the base for the head kitty. This form will place a square with rounded corners. Let it be a little smaller than the head. This will be the base for the body. draw a vertical line that intersects the oval in half and a horizontal line, which will be located slightly below the center. 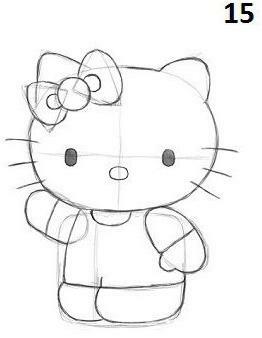 In the square draw a vertical line separating the one third from the left side of the torso, and a horizontal line located a little below the center of the figure. 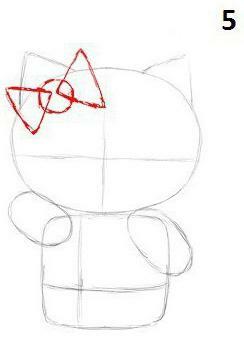 head Over to Hello Kitty and on both sides of the vertical line, draw two small triangles. These will be the ears of our cartoon character. to draw hands, place one small oval on the upper left of the form body at an angle of approximately 45 degrees. 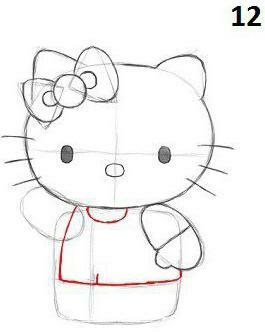 In the upper right part of the body draw another oval about the same size and at the same angle. 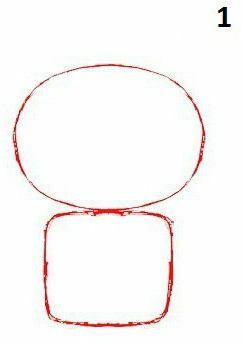 On the upper left side of the head directly under the ear, draw a small circle. On both sides of the circle, make two little directed at each other, but not the triangle. This will be the base for the bow. 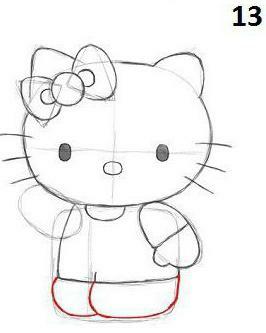 It was the first steps instructions, how to draw a kitty. so, the initial sketch is ready, time to start more positive steps and more pressure on the pencil. 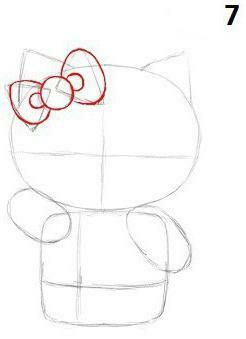 to make the bow, covering sharp corners, draw two C-shaped curves. Exactly the same ovals smaller place inside each of the triangles so that they also referred to the circle in the center of the bow. draw a Fatter line of the head around the ears so that they were not as sharp. 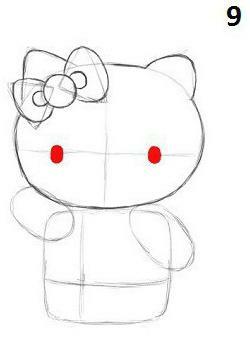 Now draw two ovals on the horizontal line, which are located at the same distance right and left of the vertical construction line is would be the eyes. Below the horizontal construction line, right on the vertical construction line will be the nose oval shape, which is the same size as the eye in a horizontal position only. Using quick strokes, draw three lines on either side of the muzzle to make whiskers. 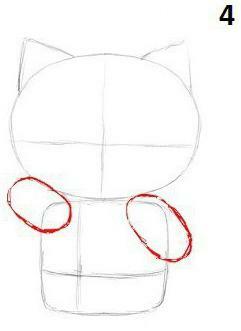 to finish the left hand, draw a line through the middle of the oval to form the sleeve. Then make a small bump just below the bottom of the sleeves to make the thumb. 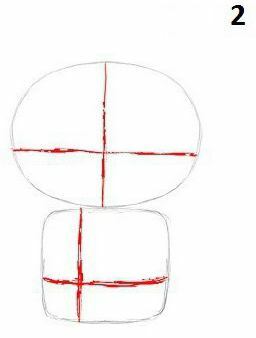 Use a U-shaped arc below the head and draw the collar. Then print cleaner, sharper upper part of the body that will be slightly to break the original boundaries of the sketch. There will be a slight shift of the torso to the left. 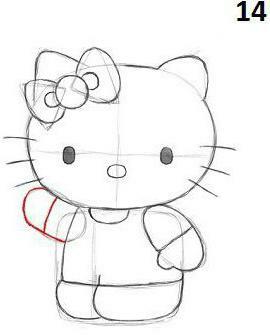 Draw a small vertical line just to the right of the vertical line to indicate the place where to unite legs kitty. 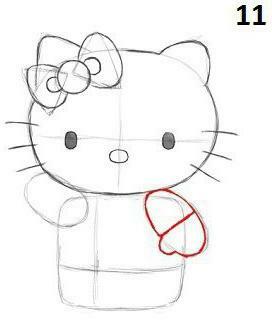 Using the body shape and vertical line as a guide, draw the legs, and the left will get a little more right, as it is depicted from the side. to finish with his right hand, adding a line in the middle of the oval. Make sure that the bottom line does not overlap the line of the torso and head. 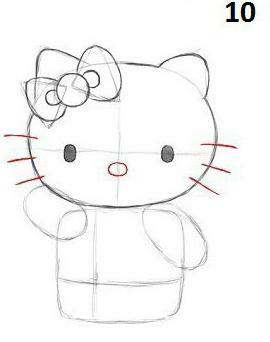 How to draw a kitty? There is nothing easier! Just a few steps, and patterned handle even a small child. 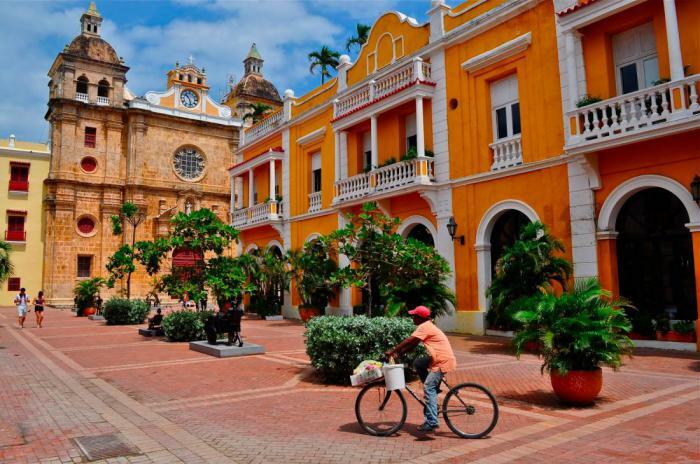 The image is ready, but it still can be modified. More beautiful and complete is the portrait, if you carefully trace the final sketch with a marker or felt-tip pen. Then wait to dry, and get rid of every excess pencil lines with an eraser. you Can stay in the previous step, but the best is still to paint the kitty to complete the look. 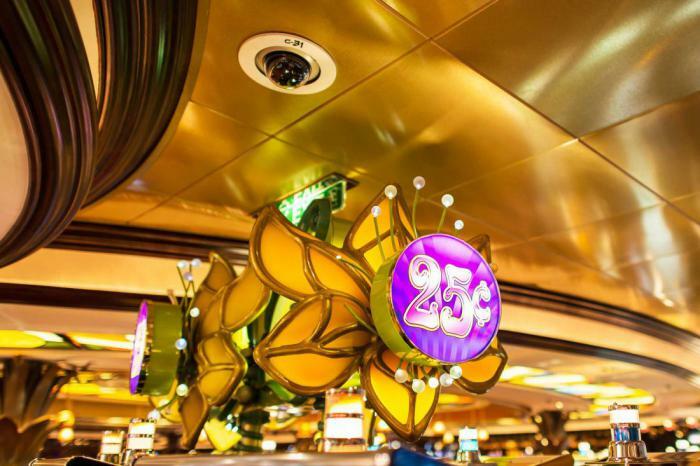 You can use markers, colored pencils or even crayons. 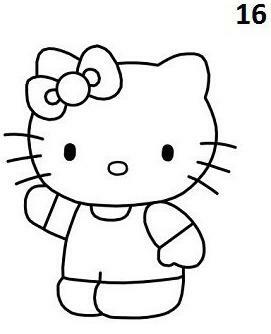 Hello kitty is an incredibly simple and cute cartoon character. 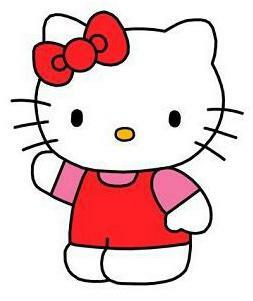 Color her bow and overalls red, the nose - yellow, blouse - pink. Face, hands and feet need to leave white. All the drawing is ready!